IN THE SPRING AND SUMMER of 2013, I became part of a motivated group of new nursing students: RN refresher students. After some time out of practice and with great motivation, we worked to reenter the nursing profession. Don't think that these levels of progression are unique to RN refresher students. Any nurse who picks up the challenge to return to a higher level of education and practice will go through these levels. This article describes how students can advance through levels of nursing education that correspond with Maslow's Hierarchy of Needs to be successful. My class was made up of 22 RNs representing four decades of life: the 20s, 30s, 40s, and 50s. We were returning to school chiefly because we'd been out of acute care for more than 3 years. One student had been working in a dialysis unit, another had been performing home cardiac monitoring, a third came from a skilled long-term-care facility, and another wanted to become more comfortable speaking English. My classmates included native speakers of Korean, Chinese, Russian, Romanian, and Spanish. Five of the class members were men. As we set about to finish reviewing nursing theory, which was compressed into just 10 weeks, I wondered how many of us could withstand the rigor. 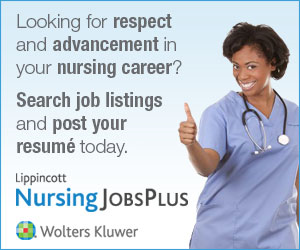 We were all RNs, some with associate's degrees and others with bachelor's of science in nursing (BSN) degrees. My BSN-prepared colleagues told me that this return to nursing might be the first in a series of steps leading them to an advanced nursing degree. While some of my classmates were returning mainly for economic motivations, many had answered the call by the Institute of Medicine in 2010 to broadly implement continuing competency and advanced degrees in nursing.2 This was my motivation as well. Our nursing coursework was followed by skills lab, clinicals, and a preceptorship. As we moved through the 6-month program, I became aware that certain students seemed to be first in asking questions about job-seeking and revising their resumes and drafting new cover letters. Why were some of us taking these steps before others? Were we working through some type of readiness framework of tasks? As I asked these questions, I turned to Maslow's Hierarchy of Needs for the answer. Though not a motivational theoretician, I was able to build a parallel task structure that reflects the levels we experienced. Maslow's lowest tier begins with meeting basic needs. Similarly, return to practice begins with the fundamental laws regulating nurse practice. Mandates from your state board of nursing must be considered first in the return to nursing practice. In 2013, according to the American Nurses Association, 32 out of 50 states required annual continuing education, and another 15 states had educational requirements for nursing reentry.4 Typically, each state's Board of Nursing (BON) administers RN licensure requirements. Once you know the facts of the BON's reentry and continuing-education mandates, you must reflect on these questions: Are you willing to acquire the proper number of hours of continuing education annually? Are you prepared to commit to your state's minimum annual practice hours? If your answer is no, then it's probably time to apply for an inactive license. But if the answer to these questions is yes, you're ready to advance to the next level, the safety level. Recognition of and submission to state competency mandates moves nurses up to the second level, where the goal is establishing safe practice. This level corresponds directly to Maslow's second tier; however, safety and security in this instance refer to safe nursing practice at current standards of care. These standards are composed of up-to-date theory, skills, and clinical practice. RNs returning to practice can contact their state BON for educational resources and requirements. For example, Washington State's Nursing Care Quality Assurance Commission has links to five state-approved RN refresher programs on its website.5 Three of the programs are completed through self-study, and two require meeting on campus, but all involve clinical time in the acute care setting. In the spring/summer class at Bellevue College in 2013, 22 refresher RN students began the program, but only 17 of us went on to complete the clinical rotations. When we completed the theory portion of our education, we'd again established what safe practice was. To use it, we needed to move on to the next phases of application. Skills lab training and clinical placements are what helped us achieve the third task of belonging in clinical practice. Our skills lab training involved very basic simulations, but completing these simple tasks gave us confidence. During skills lab, we began to realize that we did know something about nursing. I noticed that our questions for the skills lab's instructor had more to do with secondary constructs we'd created than with the primary tasks at hand (such as inserting a nasogastric tube). We wanted to debate the expiration dates of tubing and central venous access device dressings, as well as offering each other tips in evaluating chest tube functioning. Our need for information from our instructors often focused on unique hospital policy rather than basic technique. It was as if we all, as experienced nurses, understood the technique and its purpose, and we were ready to move to trouble-shooting and performing skills more competently. Our confidence was buoyed by this simple statement from our instructor: "The questions you ask are a lot different from questions asked by the new RNs." Encouraged by that insightful comment, we exchanged phone numbers and e-mail addresses as we prepared to enter hospital-based clinical practice together. I was glad we had a support group. Within this place of community support, we RN refreshers had arrived at the third level in Maslow's hierarchy of needs, called love and belonging. In this construct, the belonging also indicates identification and belonging in one's profession. My colleagues and I were ready for clinical practice and looking forward to it. During skills lab, although the scenarios were instructive, we felt frustrated over the lack of patient feedback from our interventions. By moving on to clinicals, we'd receive the feedback that had been missing in the skills lab. We were ready to move into clinical practice. My classmates and I supported and validated one another in the face of obstacles. For example, on the second day in the unit, a technician who read student on my nametag informed me that he would repeat all my vital signs and finger-stick blood glucose testing! My classmates shared similar struggles of working to prove themselves, conflicts when seeking out new experiences, and the challenges of keeping up the rapid pace. Luckily, our clinicals provided time for daily debriefings, when we could share both our troubles and the new realization that hospitalized patients are sicker now than in the past. Despite the rapid clinical pace and marked acuity of the patients in the units, we found great affirmation in giving the care we did. By working with both a talented clinical instructor and helpful nursing staff, we found that we could perform routine patient care and assessments easily, while simultaneously learning to use the hospital's computerized documentation and medication administration system. The challenging clinical component of the RN refresher program brought the greatest movement forward to current practice standards. Each day we learned more about how the care team meets the needs of patients. We saw how time was managed, triage was performed, and boundaries were set. To establish these boundaries, nurses provided leadership to unlicensed assistive personnel about their duties, and informed patients about hourly rounding. As our patients began to move in and out the unit, we began to see that we were making a contribution to the care team. We'd arrived at level four of the hierarchy, contribution: skills adequate, work fulfilling, while we were busy caring for our patients and intervening on their behalf. Finally, in the last phase of our refresher education, we listed our previous nursing experience for our instructor as well as what our dream nursing position would be. That list led to our preceptorship placement in various hospitals in our locality. Shortages of clinical placement sites showed us firsthand the forthcoming need for more nursing educational reform: Some students waited 2 months for their preceptorships to begin. Using social networking sites, we kept in touch. Students were placed in outpatient clinics, labor and delivery and acute care units, and skilled nursing facilities. The first comments posted about preceptorship experiences included "Whew!" and "What a pace!" Then a few comments were made about how it was made tougher because the staff members often changed. What I experienced was that the unit nurses were moved around quite a bit to meet staffing needs: floating, filling in for charge, and completing variable-length shifts. Working with several preceptors gave me a broad overview of my unit and an appreciation for getting the job done with competency, but with individual variations in time management. And nothing teaches time management better than shouldering a full patient assignment. Organizational triumphs were waiting to be discovered every day in using the computerized medication dispensing systems, the electronic documentation and bar coding system, the pagers and pumps, the bells and whistles. Toward the end of my preceptorship, the other nurses began to ask me in an encouraging way, "Are you going to apply to work here?" Now, if that isn't the top of the pyramid, I'm not sure what is. I hope that my colleagues experienced the same progression. We'd started by investigating nurse practice requirements, and then established safe practice through education. Next we found the confidence to belong in our practice, and finally we found the work fulfilling and were ready to practice. This simple paradigm is one that can be used by any nurse who aspires to a higher level of education to achieve success. You too can stand at the top of the pyramid, looking down at all you've accomplished and feeling prepared.